As we gear up for the vendor guide launch in two days, I thought I'd give you a sneak peek in the form of a vendor spotlight retrospective. Here are all the vendors I've featured on the blog since I took over as editorial director last October. Click on the photos to read more about these incredible vendors, just some of the ones who will be a part of the Simply Blue Vendor Guide! brittany & devin Photo Co. Together with Chef Andy Schudlich, I own and operate Epicure Catering, as well as manage our event venue, Cherry Basket Farm. We have been catering for almost 15 years, and running the venue for 10. Focusing on the quality of our food and providing the best possible service are the main drivers of our business. We work with about 35 local farms to ensure the highest quality, locally grown and produced food reaches the tables of our clients. Transforming the farm into a venue has been quite the journey and we are learning that it has become our life's work; a true labor of love. Thousands of hours of thought, research, elbow grease, and care have gone into the restoration and I wouldn't take back a single minute. Pairing Andy's marvelous food with flawless service has become our hallmark, and when we combine these elements with the atmosphere at Cherry Basket, the true Epicure experience is delivered. Where these elements truly shine, however is when they are applied to a collaboration with the client. Our company began as an off-site fine-dining catering company...and that is the path that took us to weddings. Weddings are service-intensive, logistically challenging, and showcase our food well. We began by catering small, intimate house parties, but the more weddings we catered, the more realized how they were a natural fit for us. We try to produce events with a relaxed, intimate vibe and the best food and hospitality possible. Our food can be rustic or polished, but is always beautiful and delicious. As for decor, I have a "less-is-more" aesthetic and feel that a great location and few carefully chosen pieces can make as big of an impact as an over-the-top approach. I tend to use the dining as my focal point, as it is my belief that the food is the true heart of any gathering. The flow of an event is also a testament to great style and service and one we place great importance on when catering a party. The minutes immediately following the ceremony and the start of the cocktail hour is my favorite part. The tension of months of planning, getting everyone there, and all the pre-ceremony jitters are gone. Families can relax after the ceremony, and helping people to relax and have a good time with their loved ones is my favorite part of the job. What are some of your favorite trends from this wedding season? More and more, engaged couples are placing a greater value on high quality, truly memorable food, and that is exciting. It's a momentum that has been building as long as we have been in business, so I would say it's a trajectory rather than a trend. There is no longer an expectation that wedding food has to be lackluster or merely for sustenance, and I am extremely grateful for that. What advice do you have for couples about choosing a caterer? Ask a lot of questions. Where is the food being sourced? Where is it being cooked? How long have you been in business? How many weddings have you catered? What is your staff:guest ratio? What do costs include, specifically? Weddings are difficult as there are a lot of moving parts. Asking questions means you are an educated consumer...you can never ask too many! Read each and every vendor contract all the way through at least 3 times. Make notes, ask questions. This will ensure that nothing falls through the cracks and nothing gets missed. It is amazing to me the amount of investment that couples make without doing their due diligence by reading contracts. You will feel more confident in your decisions - knowledge is power! And it's hard to feel stressed about something when you feel empowered by it. I would also remind people to focus on what is important to them as a couple. Wedding planning can be extremely overwhelming - there are opinions from family, other friends who have been married, pinterest...the list goes on. The comfort of your guests needs to be thought of first and foremost, and beyond that, they won't miss what isn't there. Decide what is important to you as a couple and keep that as the main focus throughout the planning process. Lastly, choose vendors you trust and let them do their job. You will find that as you move though the process, there are vendors you will click with and those that you don't. Do your research, ask questions, clearly communicate your vision and expectations, and trust those you have brought on board to do their jobs. They are the pros, after all! The natural surroundings of this place are the soul; but its people are the beating heart. There is a great network of skilled vendors in our area who are producing absolutely stunning events. I am proud to be a part of this community and to call Northern Michigan my home. Find out more about Epicure Catering and Cherry Basket Farm on their website and follow them on their blog, Facebook, Instagram, Twitter, and Pinterest. Catering industry veteran and Chef/Owner of K2 Edibles and Events, Kristin Karam lends us her helpful advice in regards to wedding catering...it must be Ask the Expert Wednesday! This woman is a pro and as a caterer myself, I really enjoyed interviewing her about the craft. Enjoy! How long have you been cooking and what got you into the wedding industry in the first place? I have been cooking for well over 12 years. I was initially introduced to the wedding business as an innkeeper at a beautiful venue. Weddings fit very naturally in the space and I began selling the Inn as a wedding venue. The experience was priceless. I learned every avenue of the party from planning through execution and clean up. I did find myself most drawn to the kitchen, and knew eventually I would be in the heart of the house. What are some of your favorite items to serve at a wedding? I like to see the couple take a chance with ethnic food. Wedding menus are often very alike, I think it add to the social aspect of a wedding when the guests are tempted to try something they may not have had before. It brings a conversation and guests usually walk away with a new favorite. Bringing in the couples couples ethnicity to the menu puts a personal stamp on their menus. How do you help engaged couples navigate through the process of writing a menu that will fit their event? There is always some volleying back and forth until they are happy with the offerings. During this process, I must remind couples of the logistics of getting the correct food that fits with the venue where the event is being held. Some things might not work and there is always an option to fit their theme and budget. 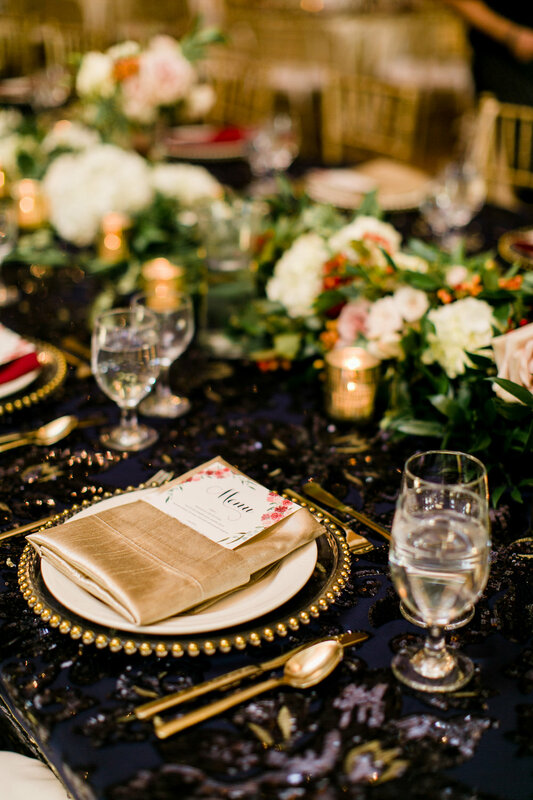 What are some must-do's or must must-have's in regards to catering at a wedding? Don'ts? You must overstaff. Having plenty of hands on deck allows the night to run smoothly. A caterer must hire a staff that is experienced and open to performing tasks which might not include a "normal" service routine. Organization is the key to a good production. Lists, lists...and more lists! One big "don't" that comes to mind as a caterer is making promises that can not be kept. Couples provide many ideas...and as a caterer I must be honest and straight forward when I get a request for something that logistically will not work. Usually this happens when there is a strict budget involved in which we are unable to hire the additional people, equipment, etc... to carry out the task. For a simple example, a wedding in August in the summer heat, outdoors in the middle of a vineyard, would not be conducive for an ice cream cake that was to be delivered before the ceremony with no where to freeze before cutting. The logistics of this request would have to be considered, and more likely than not, the cake maker would have to deliver that cake right before service. The couple would have to recognize that there would be no cake on display, and also the extra charge for this service. If you could give engaged couples one piece of advice in regards to catering on the big day, what would it be? My best advice is to hire a caterer with a good reputation, and also one that you trust. Just because a chef has a successful restaurant, does not mean that they will be a successful caterer. Catering is a another animal. Hire a professional with experience, and then let them do their thing. I have found with experience in my "planning" years, that if you give the vendor some space in management after your vision was agreed upon, they will do a much better job for you than if you micromanage their every detail. Some freedom in creativity leads to great surprises for you and your family on this special day. It also alleviates the stress for the couple! Let it go and have a great time! You have spent a lot of time and energy in the planning process. Your wedding day can now be an enjoyable experience. Are you looking for a delicious and different option for your wedding food? Whether its for the rehearsal dinner, reception or morning after brunch, you'll want to contact Kristin Karam of K2 Edibles. K2 Edibles was launched by Kristin in 2008 when after 25 years experience in the restaurant and hospitality industry, she decided to do something of her own. Kristin and K2 have since developed a great reputation. On Thursdays, you can find Kristin dishing up ethnic eats at Left Foot Charley and on Saturday you can find her at the Farmer's Market in the Mercado. Her food is also stocked at the well know Underground Cheesecake Company. Be sure to check out K2 Edibles’s Vendor Profile under the “Caterer” section of the Vendor Guide for more information. 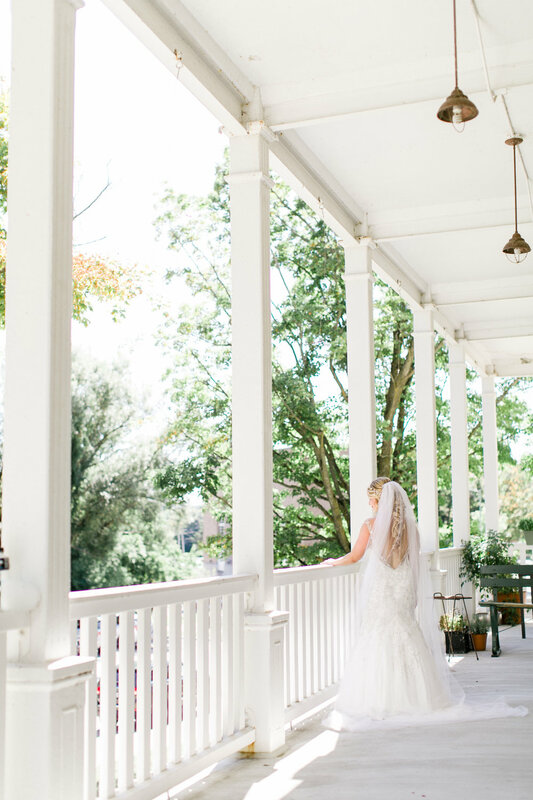 Although the busy wedding season in Northern Michigan is upon us, I recently had a chance to talk weddings with Innkeeper, Restaurateur and Caterer extraordinaire Kate Vilter, Owner of the Riverside Inn in Leland, Michigan. 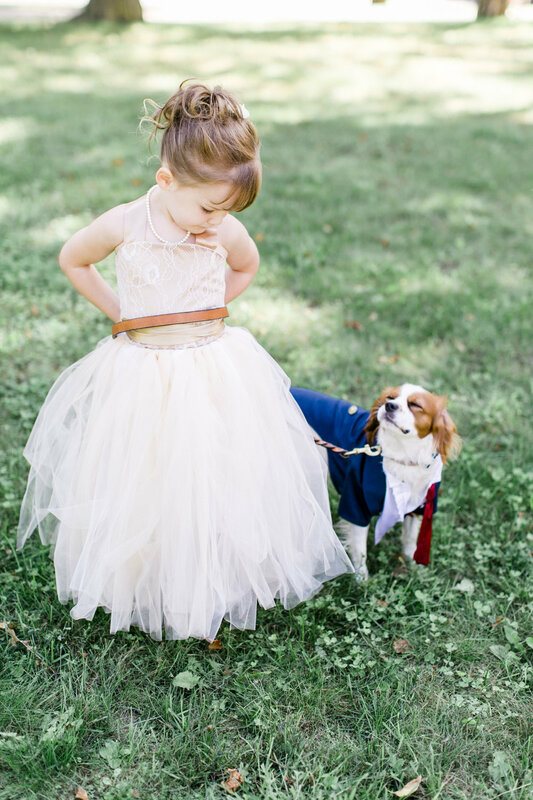 She lends us her advice to assist in the wedding planning process. Enjoy! How long have you been in the restaurant industry? What attracted you to it in the first place? I have been in the restaurant industry since I was 13 years old. Ironically, my first job was as a breakfast waitress at The Riverside Inn when Kevin & Sue Burns owned it. Your facility is a gorgeous historic inn which houses quaint rooms and a beautiful restaurant right on the Leland River. What are the challenges you face running an inn, an award-winning restaurant and a spectacular off-site catering operation simultaneously? The biggest challenge in doing all three is time! We need to have someone at the inn taking care of guests by 7am, and the restaurant closes at 11pm. We are 7 days a week for the entire summer. Taking staff off-site for catering really challenges the restaurant, which is why we do not cater every weekend all summer long. It just isn't possible to keep everything running if we are catering every weekend. So, we do have to limit our off-premise events – the restaurant and inn need our attention too much. In your experience, what is the most important role of the innkeeper? the restauranteur (in this case venue manager)? the caterer? For all three, it is really making sure the guest feel comfortable. For the innkeeper, that means that their rooms are spotless, beds are really comfortable, and they have a pleasant person to speak with about the area while having cocktails in the afternoon or coffee in the morning. For the venue manager, we want the guests to love the beauty of our location, but also to feel comfortable. This means that they can find their tables easily, have plenty of staff to serve them, and of course, enjoy the food and drink. For the caterer, the most important thing is thorough pre-planning and staffing. I always want to make sure their are plenty of staff on hand so that the guests are not waiting for cocktails, the food is served quickly (while it is hot! ), and so that if any issue should arise for the host or coordinator – that we can easily help. Planning ahead for issues such as rain, or time delays, knowing where we can get additional ice or any such thing is really important. When you are working with engaged couples to create the perfect event, where do you start? I always start with the question – what is your vision of your perfect wedding reception? This gives me an idea of what part of the reception is most important to them. Each couple will have something that has the most priority. Some may feel the music and dancing is most important. For others, it is the food and wine. And for many it is the décor. Of course, everyone wants all three to be great, but there is usually one item that you realize is the most important. In these initial discussion, I can find out a lot about how they envision their event, and then I can start to work on a menu that is appropriate for their style. Brides can become overwhelmed with the nuance involved in a wedding and how this relates to the guest experience.What, in your opinion, are the most important details from a wedding guest perspective? The least? If you read the magazines and are on various wedding web sites – it can be overwhelming! From welcome bags at hotels, events for the entire weekend, favors, photo booths, parasols, baskets of flip flops, favors, specialty cocktails. It goes on and on. And yes, some are great, but others are just a great photo. The most important things really are making sure there is a comfortable space for people to enjoy themselves throughout the evening. This means, plenty of tables for people to place their glass while they talk and eat. Areas where they can sit down if they need to do so (out of the hot sun), and places for people to watch the dancing – in case they don't feel like participating. I know your catering and restaurant chefs focus on the use of local and seasonal ingredients. How do you approach building a menu, and how does the use of local foods affect this process? We do try to use as many local products as we can. This supports local families, and it brings the best quality food to our guests. In some respects, this can be easy. Cheeses, dairy and eggs, and some proteins we can obtain locally throughout the year. The vegetables and fruits are where you really see the affect of a the season. Summer and fall are great for us with menu planning as there is such an abundance of produce. Winter and early spring can be more challenging. While we try to use local products as much as possible, if a client has a specific menu in mind, we certainly do not force our vision on them! How do you determine staffing needs? It depends on the venue (is everything in a fairly compact area? ), the menu (is it buffet or plated? How many courses? ), and the bar set up (full bar or wine & beer only? And how many bar stations will there be?) All of these things affect how many staff I will need. Your wine expertise is vast. What is your advice to engaged couples on how to select the proper wines for an event? My ideal is usually 4 still wines and one sparkling. I usually suggest having one lighter white such as a pinot gris or sauvignon blanc and then a richer white such as a chardonnay. The same works for red – a lighter style such as a pinot noir and then a heartier one such as a malbec, cabernet, or syrah. I always suggest having a sparkling wine, even if it not being used for the toast. Some people really do love their bubbles. If it isn't being used for the toast, you won't need much, but it is a nice thing to have on hand. I always suggest using our local wineries for their terrific sparkling wines, pinot gris, rieslings, and chardonnay. It is what we do best in our area, and it is a great way to introduce a local product to your out of town guests. Plus, wine tasting at the local tasting rooms is a fun part of the wedding planning process! What is the single most important piece of information you can give to engaged couples? Plan ahead for weather problems! And then the biggest one, either hire professional coordinators or have 2 friends who can be point people for the entire weekend. If you do not have at least one person who knows the plans for all the events happening, you will not be able to enjoy your wedding weekend. While you are having a manicure/pedicure – do you really want to be fielding phone calls about where the cake table is supposed to be placed? Living in Grand Traverse and Leelanau counties and the surrounding Northern Michigan area, we're lucky to be surrounded by fabulous restaurants, chefs, local wines, homemade pastries, cheeses, etc. (the list could go on and on!). What if you could combine all of those things into one restaurant and transfer everything that restaurant has to offer to your wedding meal? You can! Since opening their doors in the basement of the building previously know as the Traverse City State Hospital, Stella (as we locals refer to it) has been serving up fabulous dishes day after day. Chef Myles Anton- a 2010 Michigan James Beard Award Nominee- creates a menu that is constantly changing from day to day with a focus on locally sourced ingredients, fresh produce, and homemade bread, cheese and pasta. The hustle and bustle of the restaurant business only allows Trattoria Stella to accept a limited number of off-site catering events each year. However, I can speak for the lucky ones in saying that if you book Trattoria Stella as your wedding caterer, you won't be disappointed. Check out Trattoria Stella under the "Caterer" section of the Vendor Guide.